"Given our know-how and comprehensive portfolio, we're optimally positioned to help achieve the breakthrough in the transportation revolution technologically and in terms of infrastructure," says Marco Grinblats, Managing Director of subsidiary HARTING Automotive. Decisive for the acceptance and the success of electric vehicles is the number of charging stations, a nationwide charging infrastructure and, not least, an easy-to-use charging technology that saves time and money. 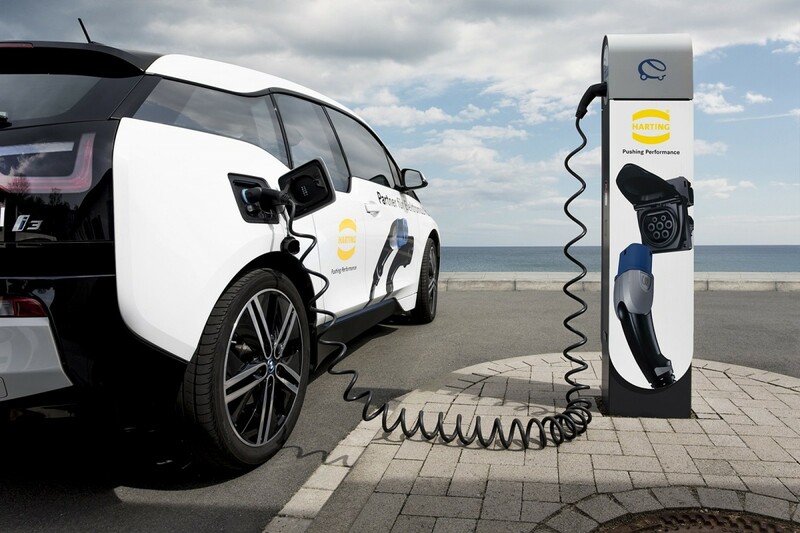 As a pioneer of reliable, clean and environmentally friendly e-mobility, HARTING offers tailor-made solutions and components for all relevant markets, and develops and produces charging equipment for electric and plug-in hybrid vehicles. HARTING has registered a strong increase in demand for charging cables and as a result has significantly expanded its production capacities in the Romanian sites of Sibiu and Agnita in the past year. Here, power cables for e-mobility and actuators for automotive applications are manufactured. At the end of 2016, HARTING became a direct supplier to the VW Group for a specific e-mobility solution and supplies diverse charging equipment for different Group brands, e.g. the Porsche Panamera 4-Hybrid. HARTING has also been a Tier 1 supplier for BMW Group for the past few months. The technology group particularly sees good opportunities for the development of high-power current solutions. "We're working very hard on this since this technology will shape e-mobility over the medium term," Grinblats is convinced.